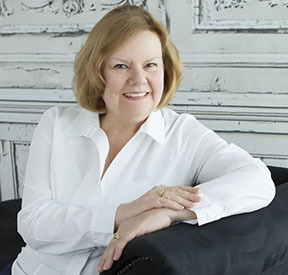 Candace Armstrong loves to write in the beautiful woodlands of Southern Illinois. Her poetry sometimes becomes prose, and her poetry has been published in The Lyric, Midwest Review, Journal of Modern Poetry, California Quarterly and Dream Quest One, among others, and has recently been selected as a winner in the Maria W. Faust Sonnet Contest. Her prose has appeared in The Muse and Diverse Voices Quarterly, and is one of the eight winners in a Master Class contest to be published as an e-zine soon. She is currently finishing a novel and seeking representation for it. 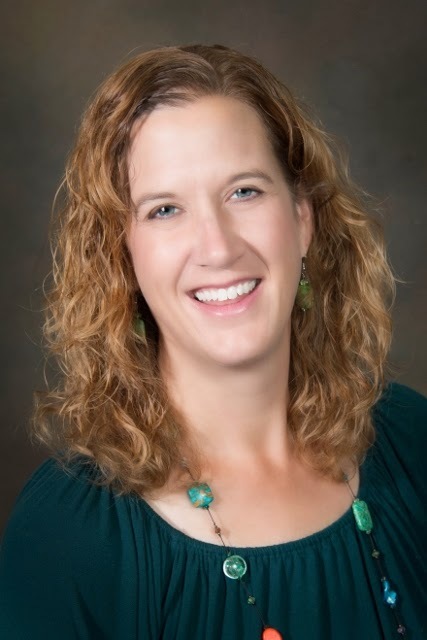 Formerly in corporate business management, she earned a BA in Business Management from National Louis University and several professional designations. She has taken fiction workshops and classes at the University of Iowa, College of Charleston and others, including WOW Women on Writing. Now she has relocated to the country where she writes, reads, welcomes her children and their families, gardens, cooks and takes hikes with her husband and their canine child, Murphy. Her website is a work-in-progress at www.candacearmstrongwriter.com. If you haven't done so already, check out Candace's award-winning story "Chance" and then return here for a chat with the author. WOW: Congratulations on placing in the WOW! Spring 2017 Flash Fiction Contest! What was the inspiration for your short story, or what prompted you to write it? 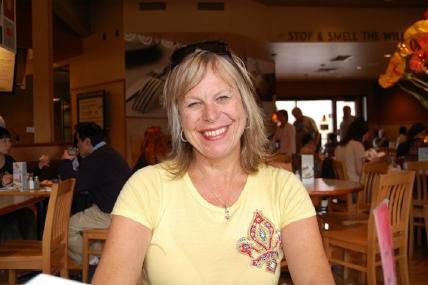 Candace: The inspiration for my story, “Chance,” was a Labor Day carnival outing with our two very young grandsons. It was blisteringly hot, but the boys were oblivious because they wanted to ride everything they could, numerous times. While we adults stood around watching them, I noticed some of the “carnies” and wondered what their lives were like. Later, I imagined their relationships, names and circumstances. By the way, both boys were sound asleep in the car on the way home. WOW: Thank you for sharing that! People watching can be a great source of artistic inspiration. What do you enjoy the most and/or the least about writing? Candace: I enjoy the creative imagining of stories, and I also love the process of putting words on paper. I even like revising. The only thing I don’t really like is marketing, or receiving rejections! WOW: I hear you! I suppose receiving rejections is all part of the process. What are you reading right now, and why did you choose to read it? Candace: Only a day ago I finished reading Alena by Rachel Pastan. I was fortunate enough to take a writing course she taught at the Iowa Summer Writing Festival in July and wanted to read her book afterwards. I recommend it. My next read will be The Jane Austen Project by Kathleen Flynn which I chose because of a book review and my admiration for Jane Austen’s works. I am also in a book club, so many titles are recommended by that group. WOW: Thank you for the recommendation! Can you tell us more about the novel you’re writing? Candace: My novel, Evidence of Grace, is about a man named Charlie Jericho who rescues an infant from a horrendous minivan-train crash. His wife persuades him to keep the child as their own, even though they later learn her real identity. Seems the baby girl is related to some wealthy and powerful people in the medium-sized town of Tillman, Tennessee. One relative believes the child is still alive and launches efforts to find her that yield surprising results. The little girl’s name is Grace. She becomes a victim of a vicious tug-of-war involving kidnapping, a white slavery ring, extortion and even the discovery of a long-ago murder. Charlie is torn between his conscience and keeping his family together, but events conspire to force him to action. Will Grace’s life be saved, again? WOW: Great description, and poor Grace! I already want to know more about her. If you could give other creative writers one piece of advice, what would it be and why? Candace: My advice is to keep learning. Take classes or join workshops. Find a good critique group of like-minded writers. No doubt your writing will get better, as I believe mine has. Then keep writing. Knowledge is not enough in itself. You have to DO it. WOW: Thank you so much for your thoughtful responses. Congratulations again, and happy writing! Interviewed by Anne Greenawalt, who keeps a blog of journal entries, memoir snippets, interviews, training logs, and profiles of writers and competitive female athletes. Peter Tesla, a prodigious young inventor, develops an electronic device to enhance the user’s free will. A major application is drug detoxification. Peter’s star client is the U.S. president. Along the way, Peter is tried for the mysterious death of a girlfriend and struggles with the machinations of a secretive industrialist. Free Will Odyssey is available in print and as an ebook and audiobook at Amazon, Barnes & Noble, and IndieBound. To win a copy of Free Will Odyssey please enter using the Rafflecopter form at the bottom of this post. The giveaway contest closes Sunday, November 5th at 11:59 PM EST. We will announce the winner the next day in the Rafflecopter widget. Good luck! Larry Kilham has traveled extensively overseas for over twenty years. He worked in several large international companies and started and sold two high-tech ventures. He received a B.S. in engineering from the University of Colorado and an M.S. in management from MIT. 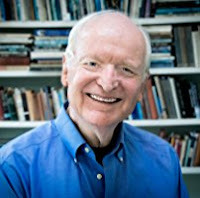 Larry has written books about creativity and invention, artificial intelligence and digital media, travel overseas, and three novels with an AI theme. WOW: You've traveled extensively overseas; do you have a favorite spot and why? Larry: I can’t say I have one favorite spot. For a big city with a history, outstanding culture such as music, a scientific and architectural tradition, and friendly people, I like Vienna. For food, drink, weather, and the dolce vita, I like the Amalfi Coast in Italy. For adventure and friendly people, I would choose Brazil or Thailand. WOW: You've self-published, but in a previous interview said each project should be analyzed to decide if one should self-publish or traditionally publish. Can you expand on that and share your thoughts with others who may be trying to decide which way to go? Larry: A lot of the decision rests with your capabilities in software. For the manuscript, you can do a simple book in Word and just submit it to CreateSpace or others and they take it from there. But for a custom interior, you will want to work first in Word, then go to a “template,” which fits your manuscript to the page formats, and then you will want to convert the whole mess into pdf for the submission to CreateSpace or others. Then add custom fonts and imbedded illustrations, and you’re really in the weeds. So part of the decision depends on your available time, computer skills, and creative urges. Also, is it a short novella? Easy. A scientific treatise with charts and graphs? Difficult. My most difficult self-published book was a bilingual (Shades of Truth / Los matices de la verdad) which called for juggling Spanish in the left pages and English in the right pages. On the other hand, few publishers want to tackle a bilingual project, either. WOW: That's a practical way to make a publishing decision! So, what's next for you? Larry: I would like to explore mental freedom in the age of AI, digital media, and robots. This would include free will, critical thinking, focusing on the truth. Will the next generations become essentially robots or will new mental serendipity flower? This might be a nonfiction work with poetry. WOW: That sounds fascinating, and a combination of nonfiction and poetry would be a unique way to approach the theme. You are retired now, and we have plenty of readers who are nearing retirement as well - what did you find most challenging about letting go (especially as a business owner)? What has been most rewarding? Larry: Frankly, I didn’t find letting go to be difficult. No more Friday payroll to meet! You lose associations with people such as your employees (who quickly vanish), but I found that close friends I made in the industry such as a Chinese customer and a scientific advisor, remained friends. So I guess the most challenging part about letting go is just to make the decision to let go. The rewarding part is to have more time to continue to enjoy the close friendships you made and to engage in a relatively non-stressful occupation like writing. WOW: Writing can be a great stress reliever. As a business owner and parent, one of our struggles is work ethic and how that seems to have changed over the years. What or whom do you credit for your strong work ethic and dedication to following through? How do you think we can help the upcoming generations with this? Larry: Find a specialty, craft, trade, industry, or business that holds your interest and imagination, and your work ethic will take care of itself. Beyond that, I find that you have to find people in your past and present who admire your achievements and so they can make your hard work worthwhile. They could range from the surviving spirits of your deceased parents, to your spouse and children, to a mentor or boss. WOW: You first considered yourself a writer in high school when you won a writing prize - tell us more about that please? Was there a particular teacher or individual who helped inspire you? Larry: The assignment, as I recall, was to write an essay about minorities. I chose the American Indian (or Native American if you prefer) because I come from a state, New Mexico, where I was exposed to a lot of Indians, their cultures, and attitudes by non-Indians about them. Therefore, I could tell this story with insight and passion, rather than just a treatise. My essay had emotion and connected with the reader. This confirms my belief that all good writing, in the final analysis, is story-telling. WOW: Thank you for the interview, Larry! We're looking forward to your guest posts, interviews, and reviews on your tour. Lisa Haselton interviews Larry Kilham about his latest novel, Free Will Odyssey. Today's guest blogger at Lauren Scharhag's blog is none other than Larry Kilham with an intriguing post about writing fiction in the narrative - don't miss this opportunity to learn more about Larry Kilham and his latest novel, Free Will Odyssey. Today's guest blogger at CMash Loves to Read is none other than Larry Kilham. Hear from him on the topic of "How I Became Interested in Free Will" and learn more about his latest book, Free Will Odyssey. Don't miss today's author interview at the blog of Author Shannon Muir - Shannon will be interviewing Larry Kilham about his latest novel, Free Will Odyssey. Larry Kilham is today's guest author at Writers Pay it Forward and he discusses "addiction" as well as his latest novel, Free Will Odyssey. Don't miss this insightful blog stop. Today’s guest blogger at Bring on Lemons is Larry Kilham sharing his thoughts about “Invention and Company Building” – don’t miss this opportunity to learn from one of the greats. 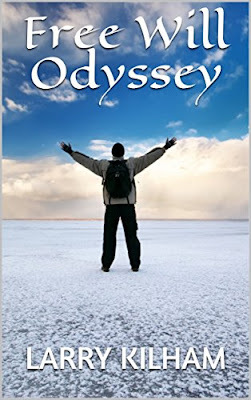 We will also have a giveaway for Larry’s latest book, Free Will Odyssey. Beverley A. Baird reviews Larry Kilham's latest work, Free Will Odyssey - don't miss this honest and enlightening review. Larry Kilham stops by Anjanette Potter's Bookworm blog with an insightful and thought provoking guest post about "Predestination vs. Free Will" - readers won't want to miss this opportunity to hear from Kilham and learn about his latest novel, Free Will Odyssey. Don't miss today's author spotlight at Janese Dixon's blog - the author is none other than Larry Kilham. Readers can learn more about Kilham and his thought provoking story: "Free Will Odyssey". Will Odyssey, and shares her insight and thoughts with readers at her blog! Larry Kilham pens today's guest post at Choices with Madeline Sharples. Readers can learn more about Fiction vs Nonfiction as well as finding out about Larry's latest book "Free Will Odyssey"
Enter to win a copy of Free Will Odyssey by Larry Kilham! Just fill out the Rafflecopter form below. We will announce the winner in the Rafflecopter widget on Sunday, November 5th! Yesterday, Sioux posted about NaNoWriMo. Yes, I can manage to write 5 minutes a day on my novel when I’m meeting another deadline. But I’ve never succeeded at NaNoWriMo. As Sioux pointed out, size matters. Because I write for children and teens, my work tends to run short in the world of novel writing. Fortunately there are other challenges out there. As should surprise no one, I’m putting them together to create my own. My personal favorite was Picture Book Idea Month or PiBoIdMo. It used to be in November but organizer Tara Lazar moved it to January and changed the name. StoryStorm is now in January. Instead of focusing on picture books, it focuses on story ideas in general. I kept going after the challenge ended and at this point I have 251. 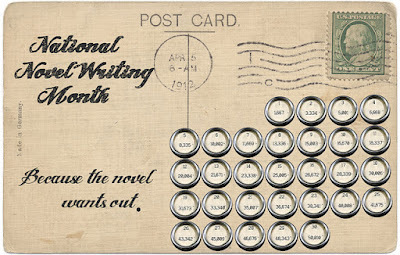 Unless you are writing a young adult novel, challenging yourself to write 50,000 words in a month is a bit ludicrous. A really long picture book is a 1000 words. The sweet spot is somewhere between 200 and 500 words. Do the math and NaNoWriMo comes out to somewhere between 50 really long picture books and 250 really short ones. Fortunately Debbie Ridpath Ohi, a writer and illustrator of picture books, created the DailyWords Challenge. Debbie is a wise woman and she knows that we need a challenge that meshes with our writing style. Do you need a specific number of words a day? Pick 100 words, 250 words or 1000 words. Or maybe, like me, you do better with a set amount of time. Debbie has badges for times from 15 to 60 minutes a day. I’ve chosen 15 minutes since I can always chose to work for a longer period of time. But I'd like a little help to focus on picture books during this 15 minutes a day. Fortunately November is Picture Book Month. This is an international literacy initiative. Throughout the month movers and shakers in the picture book community post about what makes picture books so essential to world literacy. They have scheduled posts by author/illustrators, editors and librarians. Teachers and school librarians are invited to make use of the lesson plans, coloring pages and other items posted on the site. So, no, I won’t be writing a novel. My middle grade novel is resting for a month. Instead, I will be drafting a new picture book. To do that, I need to focus on this special form. I’ll do that by brainstorming ideas, reading inspirational posts by people in the know, and working on my book at least 15 minutes a day. Anyone care to join me? NaNoWriMo begins in a few days (on Wednesday). I was terrified until yesterday afternoon. I had no idea what I was going to write about. I was so unprepared, I started googling "YA novel plot ideas." Last year I knew way before November rolled around what I was going to work on for NaNoWriMo. I'd gotten some research done, had chosen characters' names (which later got changed) so I was rarin' to go on November 1. Size does matter. To " win" at NaNoWriMo means you've gotten 50,000 words down on paper. Last year, I wrote a historical manuscript for middle grades, which meant I didn't get close to that many words. 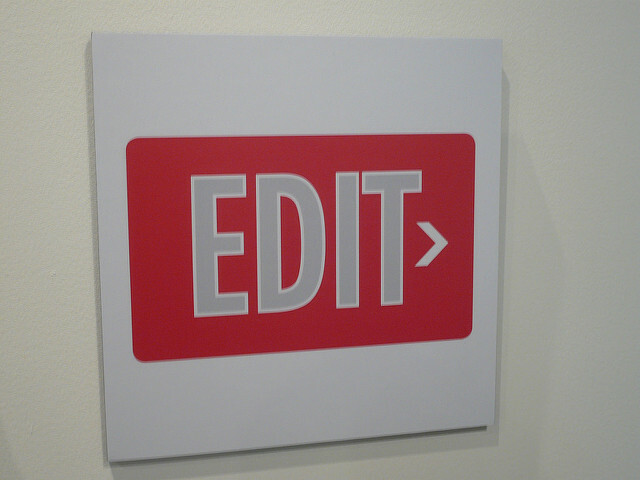 Give the stink-eye to your internal editor. To keep the words flowing, you can't stop and look over your work. You can't revise as you write--or at least most people can't. You have to write at such a frenetic pace that all the critics inside your head need to be silenced. During the month of November, just write, You can revise in January. Let yourself loose. Most likely your piece will evolve as the month marches along. You might have a neat outline created or you may know exactly how your book will end. However, as you write, things change. The characters--if they're well fleshed-out--will drive the story and cause it to unfold with twists and turns. Don't be afraid to be flexible and surprised. Use your time in creative ways. Because the word count goal is brutal every day, you need to make the most of your time. If you have 5 minutes before you have to leave for work, write for that short increment of time. See how many words you can get down in short spurts. Use it as an excuse (if you want to). If you want to get out of having to make Thanksgiving dinner, use NaNo as an excuse. "Oh, I have to write more than 1,600 words every day. I won't have time this year to prepare the holiday meal. Could someone else host the get-together this year?" Many years ago, I stopped speaking to a childhood friend because I was jealous. She had traveled across the country to visit me in Phoenix during a time when my husband and I were struggling financially, old car, low paying jobs, and barely any money for groceries much less exotic travel. My friend, on the other hand, bragged about recent trips she had taken to London and Hawaii with her husband and child, complaining to me about the stress of traveling with a baby. By the time I dropped her off at the airport, my friend and I were no longer speaking. I don’t remember the specifics, but I’m sure our fight was fueled by her inability, or so I perceived, for her to grasp my dire financial straits. While this might be true, it was also true that I was in the clutches of that green-eyed monster jealousy. I felt no compassion for her struggles of being a new mom, because I was jealous, plain and simple, of her money. I felt like a major failure. Jealousy at its heart is self-centered, but it’s human. Many years have passed, my friend and I reconciled, and today I can say I’ve grown emotionally enough to be truly happy for people’s well-being, financially or other-wise. Life is too short to compare myself to others. We all have our struggles. So, I’ve grown up. Except in one area. Writing. Specifically, other people’s writing success. Then envy rears its nasty, warty head and any personal growth I’ve achieved is erased. Okay not all the time. Truly. I don’t feel this ugly way for all my writer pals, just a few. To be specific, one. Even her name bugs me. Yes, I’m aware of how immature this sounds. Many people find her a lovely person and deserving of her success, but I hold a grudge against for a past offense and thus each time I stumble across some notification of her success, I cringe. Today I saw a photo of her at her book signing. I wanted to throw up. She doesn’t deserve success. I know. I don’t want to be this way. Anne Lamott wrote about jealousy in her book Bird by Bird. She had a writer friend who kept chattering about her lucrative writing achievements while Anne struggled to stay afloat. Anne tried various ways to overcome envy, but eventually decided to give up that friend. I had hoped for different advice, but Anne wrote it was the best she could do. I get it. Not wanting to feel this way, I’ve decided to look at the root of my envy of another writer’s success. I’m angry because I’m not working harder. I’m not writing enough. I’m not doing the work. So really it comes back to me. My envy springs from my own lack of effort and self-loathing. It all comes back to me. So, less envy and more fingers on the keyboard. And if I spend more time writing, maybe I can post a photo of my own book signing and that woman writer I envy can envy me. Like I said. I’m still a work in progress. There is no finer feeling than those few moments of bliss when you’re sure you have created a written masterpiece the likes of which the world—nay the universe!—has ever known. And then you sit down with your critique group. In the strategies of improving our writing, the critique group is often the first line of defense against the dreaded rejection. But there are times to listen carefully to your critique partners and there are times when you should grab your manuscript and run. When I was a little girl and someone would say something mean to me, I’d rush home to my mom and tearfully tell her all about the slight. Her standard response: “Consider the source.” Which I came to understand meant that I shouldn’t pay any attention to that person because she didn’t know what she was talking about. It’s the same in your critique group. It matters who is giving the advice. If the critique member is a generally strong writer, knows the genre as well as the industry, works regualrly on his/her craft, and manages to get published (or at least gets close to being published), then you should probably listen to that advice. On the other hand, if the critique member is a hobby writer, doesn’t keep up with what’s going on with the industry or the other members in the group, shows up with more criticisms than helpful critique, then consider the source. 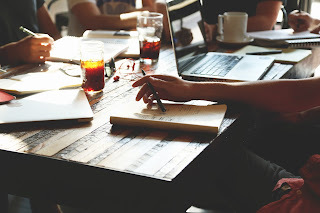 If a majority of members in your critique group point out the same problem in your manuscript, poem, or article, then you have a genuine problem, my friend, and a closer look at that problem is warranted. However, do not count the critique member who hears someone mention a problem and chimes in, “Oh, yes! I noticed that, too!” It could be a legitimate critique, but it’s more likely the bandwagon member, that person who always piggybacks on someone else’s critique. You’re free to ignore the bandwagon member, but those other three people giving you the same advice? Ignore at your own risk. Which brings us to the last bit. No matter how spot on your critique group is with their advice, let your notes and writing sit for a spell. Yes, that can be challenging when your critique group has finally solved that pesky plot problem. You just want to dive right in and write away! But resist the urge to fix your problems immediately. Give yourself time to look at the whole rather than the parts. Ponder a while until you know exactly how you want to go about taking that advice. Of course, don’t ponder for a month or you’ll forget everything. Just let your thoughts rest for a couple of days or even a week after your critique group meets. And then get back to work on that masterpiece. Because the next time—Ahhh, the next time!—your critique group is going to be amazed with what new writing brilliance you hath wrought! Have you ever gone to a conference and heard editors and publishers bashing the very clientele they depend on to make their business a success? Yes, we all have our moments, and if we had someone recording us all the time we would be found guilty at one time or another of complaining about the people we love or work with. That's why it is important to have friends or family you can trust when you have a bad day and need to vent. These are private conversations that no one else hears. A few friends and I invoke the "Cone of Silence" principle (from the old Get Smart television show when sharing sensitive information not to be repeated). And that cone is respected. So imagine my surprise recently when I read instructions on a writer's public website that basically gave visitors many reasons not to contact this author. The message this writer has put out to the world is Don't bother me. I wish I had so many people asking me questions about my work that I had to put up a "rules and regulations" page to discourage them from asking me the same questions over and over again. Isn't that the problem all writers want to have? As a teacher, I admit I do get tired of hearing the same questions in class, sometimes immediately following relevant instructions. It's frustrating, yes, but I always answer them, even though in my mind I am rolling my eyes. The author's website in question also stated that if you're trying to reach a different person (who has a similar name), the request will be deleted. Wait, what? Why not take a moment to reach out and let the potential fan know that you are not that person, but add a link to the correct site, plus your own short bio, just in case he or she didn't know you were an author who sells books you might enjoy. It just takes a minute to be welcoming, and you might have accidentally found a new fan who buys your books with real money. Why not say something like "If you've landed on this web page by accident, please take a moment and look around! Or, "Thanks for stopping by!" It never hurts to be nice, so use your cone of silence sparingly! Mary Horner's short story Shirley and the Apricot Tree is being published this month in Kansas City Voices. She teaches communications at St. Louis and St. Charles Community Colleges. Sharon Frame Gay grew up a child of the highway, playing by the side of the road. 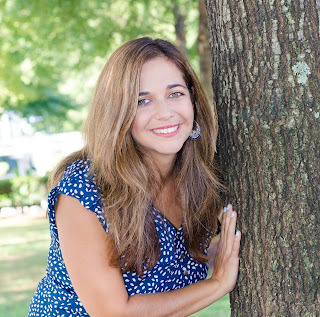 She has been published in several anthologies, as well as BioStories, Gravel Magazine, Fiction on the Web, Literally Stories, Halcyon Days, Fabula Argentea, Thrice Fiction, Persimmon Tree, Write City, Literally Orphans, Indiana Voice Journal, Luna Luna, Crannog Magazine, and many others. She is a Pushcart Prize nominee. 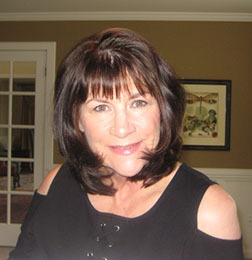 You can find her on Amazon Author Central as well as Facebook as Sharon Frame Gay-Writer. WOW: Thanks for being here today, Sharon! "Starter Marriage" describes the disintegration of a relationship from the perspective of the woman. What inspired you to tackle this topic? How do you think the perspective would be flipped if you told it from the point of view of the man? Sharon: I've always been fascinated by the incongruity of romantic love. One person may love the other person more in a relationship, and there are different levels of commitment. Woe to the lover who jumps in with a whole heart, only to discover that their partner wasn't in the same dream. I think the loss of this marriage told through James' eyes might portray him in a better light. I like to imagine that James isn't the impervious cad that some may assume he is when they read "Starter Marriage". Maybe he was the first in the relationship to realize that it was broken, and was brave enough to move on. Sarah acknowledges at the end that the wedding ring "hadn't fit in a long time". Through her heartache, she realizes that there were issues that hadn't been addressed. We don't know if Sarah had shut James out long ago, thus the advent of Emily. Was Sarah a victim, or an accomplice to the murder of a marriage? Sharon: Thank you for your kind words! I wrote "The Lighthouse" in a more formal tone, in the "voice" that Mr. Beckwith might tell his story. He was raised in the late 1800's and had a Victorian sense about him. I imagine living in a lighthouse on the coast of Maine at the turn of the century would be a very lonely existence. The wind howls, the foghorn cries into the darkness, birds roost upon the ledges in cold clusters. How does one endure such isolation? Was Isabel a figment of a lonely man's imagination that spilled over into reality? Or did Isabel truly appear one day, a woman of bone and sinew who stole his heart. Perhaps she was a ghost from another time who refused to vacate the lighthouse. I leave it up to the reader to decide. WOW: What type of books do you like to read and who are some of your favorite authors? Sharon: I read everything - even the back of cereal boxes! It's hard to have favorites, but I am keenly interested in historical fiction, especially Tudor England in the 1500's, such as books written by Phillipa Gregory. I also love a good murder mystery, suspense novels, love stories and biographies. I am especially drawn to Southern writers such as Ferrol Sams, Anne Rivers Siddons, Olive Burns, Pat Conroy, and M.O. Walsh. I tap my feet and wait impatiently for the newest John Sandford suspense/crime novels to come out. Ken Follett is magnificent. Angle of Repose by Wallace Stegner was fine dining for my soul. The characters in his Pulitizer Prize-winning book still follow me around, a literary haunting. I read any book that crosses my path with great enthusiasm. WOW: What does your writing process look like? Do you like to outline your ideas or are you more of a "pantser?" Sharon: I usually get a phrase, a sentence or a thought that enters my head, then I sit down and start writing. The majority of my stories are written in one fell swoop from beginning to end. To be honest, I have no idea where my characters are going to take me. I am along for the ride, just like the reader is! The endings often surprise me. When I write, I feel like I am a vessel, a scribe for somebody's life experience, and I hope I tell their story in a way that satisfies the character. I seldom, if ever, outline my stories first, so yes, I am a "Pantser"! WOW: What advice would you give others looking to submit their work to literary journals and anthologies? And where is your go-to place for finding new places to submit? Sharon: Consider rejection as a positive thing. It's so difficult for writers, who are sensitive by nature, to receive those dreaded rejection notices, but in the end it's helpful. It's particularly useful when an editor is kind enough to give you her reasons why the piece wasn't chosen. I look at websites such as Duotrope, Poets & Writers, or Review Review, and also read favorite literary magazines to see where I might find a good fit for my story. And of course, there is a treasure trove of great writing information on Women on Writing! I also think it's important to network with fellow writers. I keep my eye out for magazines that might be a good fit for other authors I know. Helping each other find suitable journals and anthologies comes back to you tenfold. It's also invaluable if you share your work with a "trusted reader" - another writer who reads and critiques your work with constructive thoughts and comments. I spend a lot of time looking for the proper fit for my stories. Duotrope is especially helpful because not only does it list various literary magazines and anthologies, but it keeps a running tally for the writer, displaying acceptances, rejections, and pending stories. It has been a pleasure participating in this interview, and with Women on Writing. Thank you! The Jews of Aleppo, Syria, had been part of the city’s fabric for more than two thousand years, in good times and bad, through conquerors and kings. But in the middle years of the twentieth century, all that changed. To Selim Sutton, a merchant with centuries of roots in the Syrian soil, the dangers of rising anti-Semitism made clear that his family must find a new home. With several young children and no prospect of securing visas to the United States, he devised a savvy plan for getting his family out: “exporting” his sons. In December 1940, he told the two oldest, Meïr and Saleh, that arrangements had been made for their transit to Shanghai, where they would work in an uncle’s export business. China, he hoped, would provide a short-term safe harbor and a steppingstone to America. But the world intervened for the young men, now renamed Mike and Sal by their Uncle Joe. Sal became ill with tuberculosis soon after arriving and was sent back to Aleppo alone. And the war that soon would engulf every inhabited land loomed closer each day. Joe, Syrian-born but a naturalized American citizen, barely escaped on the last ship to sail for the U.S. before Pearl Harbor was bombed and the Japanese seized Shanghai. Mike was alone, a teen-ager in an occupied city, across the world from his family, with only his mettle to rely on as he strived to survive personally and economically in the face of increasing deprivation. Farewell, Aleppo is the story—told by his daughter—of the journey that would ultimately take him from the insular Jewish community of Aleppo to the solitary task of building a new life in America. It is both her father’s tale that journalist Claudette Sutton describes and also the harrowing experiences of the family members he left behind in Syria, forced to smuggle themselves out of the country after it closed its borders to Jewish emigration. The picture Sutton paints is both a poignant narrative of individual lives and the broader canvas of a people’s survival over millennia, in their native land and far away, through the strength of their faith and their communities. Multiple threads come richly together as she observes their world from inside and outside the fold, shares an important and nearly forgotten epoch of Jewish history, and explores universal questions of identity, family, and culture. Farewell, Aleppo: My Father, My People, and Their Long Journey Home is available in ebook and in print at Amazon, Barnes & Noble, and IndieBound. "A multi-faceted biography of her father and his long-ago journey from ancient Aleppo to skyscraper America, the story of the vanished Syrian-Jewish culture in Aleppo, now a battleground in Syria's civil war, [and] a look at how that culture still survives. A treasure of a book." "Sutton merges the best of family biography with relevant and fascinating historical, social, and religious knowledge. Incorporating elements of history, religious struggles, pursuit of dreams, and the strength of kinship to create a stirring tribute to the foresight of her grandfather and the strength and perseverance of his offspring, Sutton craftily weaves interesting story lines into an encouraging and intriguing narrative." Claudette Sutton takes the reader on a courageous journey as she tells the story of her father, whose world changed with the winds of World War II. Farewell, Aleppo is a story of how people are shaped by their past. This book is a must-read for anyone who wants to explore this rich culture that many people do not know very much about. An engaging, evocative, deeply touching book that is part memoir, part history and part a personal journey....virtually a love-story of a daughter to a father. To win a copy of Farewell, Aleppo please enter using the Rafflecopter form at the bottom of this post. The giveaway contest closes Sunday, October 29th at 11:59 PM EST. We will announce the winner the next day in the Rafflecopter widget. Good luck! 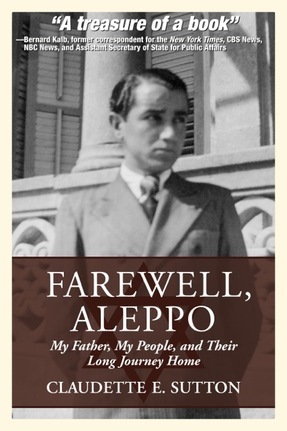 It’s no coincidence that family is the central focus of both Farewell, Aleppo and the work that has been the driving force of its author’s professional life. Grandparents, aunts, uncles, and cousins in the close-knit community of Syrian Jews all were part of Claudette Sutton’s childhood in suburban Maryland, along with her parents and siblings. Years later, as a young mother in Santa Fe, it seemed only natural to think of creating a similar kind of close support for families in her new hometown by means of her journalism training and experience. Thus began what is now Tumbleweeds, an award-winning local publication that for over twenty years has been expanding its role in serving the city’s families. As the quarterly newspaper has grown, so have its scope and community contributions, mixing news, commentary, personal writing, advice, and activity guides—all reflecting Claudette’s vision of a community resource to help her neighbors face the challenges of parenting. Claudette’s eloquent writing, the other great strength she combines with the paper’s wide-ranging utility, has been a door to the world for her since she was a teen-ager. As a reporter, she realized early, “You can learn about everything”—a much more appealing option after high school than the enforced specialization of college. After three years writing for the Montgomery County Sentinel in Maryland, Claudette moved to New York, where she earned a bachelor’s degree from the New School for Social Research. Living in proximity to another side of her extensive family, she built a deeper understanding of the Jewish exodus from Syria that has formed the backdrop for the story she tells so movingly in Farewell, Aleppo. The narrative chronicles her father’s youth, his odyssey across oceans and continents, and the new life he made in America. But as Claudette talked with him and researched more deeply, she saw also the essential elements of the larger tale. What began as one man’s story grew into a portrait of the history that made his journey necessary, and of how a vibrant people have preserved their community and culture through the thousands of years from biblical times to today. WOW: Thank you so much for choosing WOW! This is such a beautiful story and I'm glad you are sharing it with the WOW team and our readers! What prompted you to not only write your story but also to share it? Was there a defining moment when you said "this story deserves to be told"? Claudette: My book started with a simple request from my father. Some of his friends had been asking him about his life – growing up in Syria, living in Shanghai under Japanese occupation during World War II, coming to the United States alone after the war – and he wanted help getting something on paper to share with them. I thought it would be a quick little project. My father has always been a soft-spoken, modest man, for whom talking about himself or boasting doesn’t come naturally. I sat down with him with a tape recorder and started asking questions, and from the get-go I realized that that his story was more fascinating than he had any idea and that interest would reach far beyond friends and family. It was also clear that this wasn’t just a personal story but a chapter of history I’d learned nothing about in school, even in religious school. Aleppo’s Jewish community had existed since ancient times, but it had almost completely vacated following the creation of Israel in 1948, as did other Jewish communities throughout the Muslim world, but we don’t hear their stories here in America, where the majority of Jews come from Europe and Russia. So I realized that I was writing not just my dad’s story but a variation of the experience of hundreds of thousands of Jewish families who fled Middle Eastern and North African countries in the twentieth century. With so few Jews living in those countries anymore, their stories are gone unless we collect and share them. The current ongoing war in Syria and the destruction of Aleppo adds another layer to my dad’s story. I want to give people an awareness that less than a century ago, Jews, Christians and Muslims lived together in Syria, a respectful coexistence that we’d find impossible to imagine if we only knew Syria from recent events. WOW: Thank you for collecting this story and sharing it. I'm sure your voice will be an inspiration to others. What has been most challenging in regards to writing your father's story, sharing it, publishing, etc. What advice to you give others who may want to share their story? Claudette: There are unique rewards and challenges to writing about a family member. When I write about someone I’ve just met, the challenge is to learn enough about them to paint a realistic and evocative picture. Writing about my dad, someone I’ve known literally every day of my life, the challenge was to capture not just the facts but the anecdotes and descriptions that would give people who never met us a sense of who he is and my relationship. This was much harder than I thought! Much of my writing and rewriting time went into finding ways to see father and myself from the outside, to be able to bring us to life on paper. WOW: That's such a great way to explain it - I can imagine the emotional connection is very different when you are so intimately acquainted. What is your favorite book and why? or Who is your favorite author may be a better question? Claudette: One of the books I’m reading right now is Steinbeck’s East of Eden. It’s actually hard for me to read more than a few pages of at a time, because I am so blown away how he writes. To me, Steinbeck is the absolute master of conveying a sense of place. If I can pick up a trick or two, I’ll be a happy writer. WOW: Reading is such a huge part of writing - I'm glad you bring this up as a tool. Another tool for some authors is belonging to a writers or critique group. Are you part of a writer's group and why or why not? Claudette: Yes, I’m in a writer’s group. I was invited to join one a year ago by someone who liked what I read at an open mic event. It’s a small group, very insightful, very respectful. I appreciate the nudge to gussy up something I’ve written every other week to bring to the group, and I always leave with feedback I couldn’t have given myself. 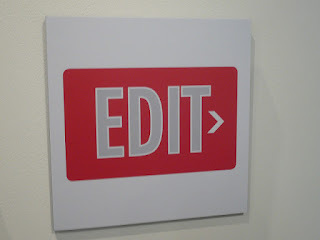 Good editors are like good hairstylists: they can see the places in the back that you can’t see with your own eyes. WOW: Every other week - that's awesome! What a great group. That's got to help keep you moving forward, and speaking of which, what's next for you? Claudette: I’m writing about my maternal grandparents, who between them had lived in Cairo, Aleppo, New York City, Haiti, Manchester and Mexico City, by the time they met in Paris in the 1920s, when my grandmother was a 15-year-old girl in boarding school and my grandfather was a 30-year-old Syrian American businessman (and a distant cousin). So I’m writing about family again – although I think this book will have a very different feel from “Farewell, Aleppo,” since it’s such a different story. But we’ll see how it takes shape. Claudette: In writing as in all things, my advice to my younger self would be: “Do more of what you love, and do it sooner. Almost nothing needed the worry you thought it did.” Maybe that’s the kind of thing we can only say in hindsight, when we know what worked out well and what didn’t, what deserved worry and what didn’t. I don’t know. But thinking about it makes me imagine an older me putting her arm around me as I am now and saying, “Sweetie, do more of what you love. Do it sooner. Almost nothing is worth the worry you think it does.” I’ll try to listen! WOW: Very solid advice for sure! If there were a song to go along with your book, what song would it be and why? Claudette: “Moon River.” It’s such a wonderful old chestnut from the 1960s, evocative of an even earlier time. My parents and I went to China in 2000, when I was working on the book, and we had a chance to revisit some of the places where my father lived during and after World War II. We heard “Moon River” playing in three separate hotel piano bars during that trip, as if it were the unofficial theme song of international travelers in Asia at the time. “Off to see the world…” “After the same rainbow’s end…” Maybe people felt it captured a sense of being an outsider and the urge to find where we belong, themes that run through my dad’s journey and my book. WOW: Thanks again and we are all looking forward to your guest posts and comments during the tour - this is a lovely opportunity to learn more about you, your family, and the history of Aleppo. Crystal J. Casavant-Otto from WOW! shares her thoughts after reading Farewell, Aleppo by Claudette Sutton. Don't miss this engaging and enlightening book blog stop! Madeline Sharples reads and reviews Farewell, Aleppo by Claudette Sutton and shares her insight and thoughts with readers at Choices. Readers of Jerry Waxler's memoir blog will enjoy reading Jerry's deep thoughts as he reviews Farewell, Aleppo by Claudette Sutton. Beverley Baird reviews and shares her thoughts after reading the moving story Farewell, Aleppo by Claudette Sutton. Don't miss this book blog stop. Lisa Haselton interviews Claudette Sutton about her acclaimed book, Farewell, Aleppo. Today's guest blogger at CMash Loves to Read is none other than Claudette E. Sutton. Hear from her and learn more about her book Farewell, Aleppo. Don't miss today's author spotlight at Janese Dixon's blog - the author is none other than Claudette E. Sutton. Readers can learn more about Sutton and her beautifully written tale: Farewell, Aleppo: My Father, My People, and Their Long Journey Home. Karen Jones Gowen reviews "Farewell Aleppo" by Claudette Sutton. Don't miss Gowen's insight after reading this touching true story. Fellow Author Eric Trant reviews “Farewell, Aleppo” by Claudette Sutton. Don't miss Eric's insight and thoughts about this touching story. Kathleen Pooler of Memoir Writer's Journey shares her deep thoughts after reading and reviewing Farewell, Aleppo by Claudette Sutton. Linda Appleman Shapiro reviews Claudette Suttons Farewell, Aleppo and shares her insight and thoughts with readers at her blog! Enter to win a copy of Farewell, Aleppo by Claudette E. Sutton! Just fill out the Rafflecopter form below. This giveaway closes on Sunday, October 29th! We will announce the winner the next day in this Rafflecopter widget and follow up via email. Good luck! Laura Snider is a writer, lawyer, and runner. Even though her career has been in the legal field, her first love is with books. She’s close to her large family and uses them for inspiration in her stories, in particular her upcoming novel Witches’ Quarters. We chat with Laura about her forthcoming novel, Witches' Quarters, which was recently acquired by Clear Fork Publishing, how her family inspires her writing, balancing life and writing, her reading habits, and how working as a lawyer complements her work as an author. 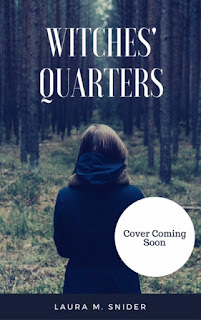 WOW: First of all congratulations on your forthcoming debut novel, Witches’ Quarters! You mentioned on your website that this book is inspired by your close knit family. How does your family help your writing? Do they provide feedback on drafts? Laura: Great question! My family is extremely supportive, but that can be a drawback when it comes to feedback because it makes them hesitant to criticize, which is necessary for the wring process. However, I do draw inspiration from them based on our past experiences. For example, the opening scene of Witches’ Quarters involves four siblings arguing over a bag of quarters. One character (the youngest) removes a quarter from the bag and says she can’t pull out more than one. Disbelieving her, an older sibling snatches the bag and tries herself. When she too cannot extract a quarter, the next sibling tries, followed by the next child, all with the same result. The situation and banter of the opening scene is based on something that happened with my sisters when I was young. My twin sister and I were the youngest of four, and we used to open pop cans by barely cracking the seal and sucking the pop out (we were strange kids). Well, one year our dad put leftover ice from an ice cream maker into the cooler. Naturally, the pop froze, so when I barely cracked the seal, it started spraying everywhere. My dad, to save his car’s upholstery, told me to throw it back into the cooler – which I did. The next day, when we left Six Flags, I happened to select that same pop from the same cooler. This time I popped the top a little more and tried drinking. It tasted like salt water, which I promptly announced to the rest of my family. Disbelieving me, my twin sister had to try it too, which she did, with much the same reaction. My older two sisters did the same, as did my dad, who all said it tasted like salt water. Ultimately, my stepmother was the smart one, because she popped the top open and poured it out. It was straight salt water. All the pop had seeped out into the cooler, and the salt water replaced it. Now that’s a long story to illustrate a small point in the book, but the relationship between the four children is largely based on the relationship I had growing up with three sisters. We fought and argued about almost everything, but when push came to shove we were always on one another’s side. WOW: I love you used a real moment that happened to start out your book. You mentioned you were reading like an obsessed psycho hermit five or six years ago! Very cool and I can completely relate! What books were you reading about this time? Did any inspire you or help you with your book? Laura: I am usually reading three or so books at a time – two audio, and one physical. Right now, I’m reading John Green’s Paper Towns, and I’m listening to Where’d You Go, Bernadette by Maria Semple and Anansi Boys by Neil Gaiman. I wouldn’t say these books inspired me in writing Witches’ Quarters because I finished that book far before I even considered reading these three books. That said, I’m sure they have had some form of influence on my later work. Everything I read influences my writing. I learn from each book. I find things I like about certain novels and also some dislikes. I learn that trying new things can be a great thing, and sometimes not so great of a thing. Every day I learn something new, and that’s one of the wonderful things about writing. 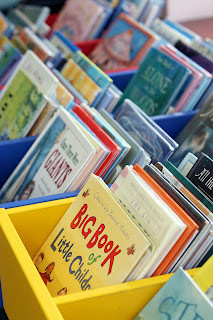 WOW: I can relate to how you use the books you are reading to influence your writing. How did you find time to balance your career as a lawyer, writing this book, and juggling your family life? Laura: I think the answer to this question is like anything else. If you want to do it, you find the time. It also helps that my husband is extremely supportive. Without his everyday encouragement, I’m sure I couldn’t do it all. He is at my side at all times, picking up the slack when I’m too tired, and building me up when I’m feeling overwhelmed. It takes a lot of hard work and dedication from me, but I’d never be able to do it without him. WOW: How wonderful to get that kind of support and encouragement! How does your work as a lawyer impact your writing life? How does it inspire you? 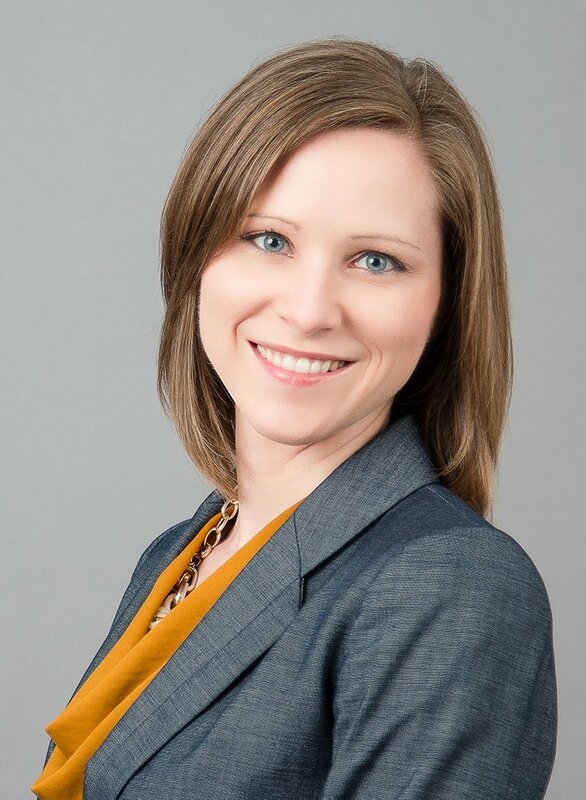 Laura: I primarily practice in the areas of Criminal Defense and Family Law. I see all types of people in all types of situations. I think the most important aspect I draw from these interactions is the understanding that the world isn’t quite as straightforward as many people would like to make it seem. Almost all criminal defendants are suffering from mental health or substance-related issues. They aren’t bad people. Many of them have made poor choices, but they are choices borne from a set of circumstances out of their control. I try (and I’m not sure if I’m successful) to add an element of this to each of my writing projects. Nobody is all bad or all good. We are all just people, making our way through life the best we can. WOW: I really like how you are using your career to impact your writing. So, what are you working on next? Laura: Stephanie Hansen [literary agent and owner of Metamorphosis Literary Agency] and I are currently working on the final edits of a legal thriller, based partially on my prior experience as a Public Defender. It’s quite different from Witches’ Quarters, a YA fantasy, but I enjoyed writing the new novel (which is in name limbo for the moment) for different reasons. Public Defenders are some of the most hardworking and intelligent lawyers out there. They often get a bad rap from everyone, including their clients, who take them for granted and often call them “Public Pretenders.” I wanted to write something for them. I wanted to write something for those who are strong enough to fight day in and day out, often with little to no sleep and far too much stress. My next novel is my effort to achieve that goal. WOW: I can’t wait to read this next book of yours! That sounds inspiring and will provide a close look into the lives of people most of us only judge from afar. Thank you so much for your time today and we can’t wait to hear more from you when Witches’ Quarters is released and hits bookshelves everywhere. Charlotte is a sixteen-year-old girl with more responsibilities than the average teenager. Her parents constantly argue, which leaves Charlotte to care for her three younger siblings. During one of her parents arguments, Charlotte uses a small coin tree and a bag of quarters to distract her youngest sister, June, from the fighting. To Charlotte’s surprise, the Quarters are bewitched, and she and her siblings are transported to an alternate world called Tonganoxia, and the exact scene on the back of the commemorative quarter that June placed into the coin tree. There the four siblings come in contact with the natives, who are intelligent talking animals, and learn that the natives are at war with a group of Witches, who came from another realm, in much the same way as the children did. Charlotte and her siblings must make a decision. Whose side are they on? The witches or the animals? That decision will change their lives and their relationships with one another forever. Nicole is a writer, blogger, and bookworm living in Portland, Oregon. She loves writing stories about people in unusual circumstances and hopes one day WOW! Women on Writing will be interviewing her about a book she wrote. 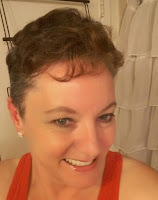 Visit her blog, World of My Imagination, http://theworldofmyimagination.blogspot.com, for book reviews, writing prompts, and anything else in between. There is no shortage of “how-to” books for aspiring authors. I should know. I’ve spent hours in Barnes and Noble scouring the shelves, looking for the one book which will not only inspire, but will also unlock the creativity lurking inside me. The one book to which will help me become a successful author. I’ve read my fair share, and while most provided a tidbit or two, none really lit a fire under my . . . derriere. Therefore, when I picked up Bring Your Fiction to Life by Karen Wiesner, I will admit I was a bit skeptical. After all, I’d been writing several years. I’m an English teacher. Surely she would not have some magic formula to fix my writing problems. Boy, oh boy, was I wrong. Let’s start with the basics. Her book focuses on aspects every novel needs: characters, plot, and setting. She breaks her book into chapters accordingly, but takes these three elements one step further. She asks her reader to consider the three-dimensional aspects of each category. Let’s take characters, for instance. It’s not enough to create their likes and dislikes, their hair and eye color. An author needs to consider the present, past, and future self of their characters. These same elements transfer into the plot and the setting. When you look at your work as a living being – so to speak – you add layers. Just as our lives have a past, a present, and a future, so does the “life” of your book. The result? With Wiesner’s instruction, you’ll have a multi-dimensional book with three-dimensional characters, a solid narrative structure, and rich settings which keep the reader engaged. My favorite part of Wiesner’s book – besides the clear explanations and the logic behind using three-dimensionality in writing, are her templates. She models how to use the templates – both with published novels and with her own work – helping her reader understand both their function and the benefits of using them. There are four worksheets in Appendix A (for characters, scenes, back-cover blurbs, and development), along with cohesion checklists, scene-by-scene outlines, and goal worksheets. Later, in Appendix B, she provides exercises, where her readers can breakdown passages for practice. Not only is Wiesner explaining the process, but she offers practice to teach mastery. As a teacher, I appreciate the scaffolding. She provides sound advice for those in the throes of writing. “Don’t neglect your future dimensions when you sketch physical descriptions,” she writes. She stresses the importance of giving each dimension equal time and attention. Later, she suggests using a publishing service to print a hard copy of your final draft, which serves as the “perfect advanced reading copy” to use as a “final read-through.” Throughout, she suggests distancing oneself from your manuscript at key moments, offering a timeline for those who hope to make writing their career. Wiesner also offers advice for novice, intermediate, and master writers. One can tell that she understands the basic processes of authorship, and she strives to meet her readers at their level. In the interest of full disclosure, I started writing a new novel just before I picked up Wiesner’s book. By the time I finished reading Bring Your Fiction to Life, I stopped writing and started planning, using the worksheets and charts I’d acquired from her book. She helped me see the importance – and the positive benefits – of creating three-dimensional writing. So much so, in fact, that I feel I cannot move forward without first creating a quality outline with multi-dimensional characters, plot, and setting. “Everything that happens at the beginning of the book must be linked to something that happens later on,” she writes, and those words continue to resonate with me, as has much of her book. This is a must-read for beginning and experienced writers. 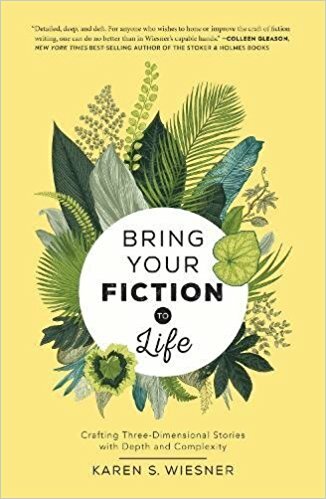 Enter to win an autographed copy of Bring Your Fiction to Life by Karen S. Wiesner! Just fill out the Rafflecopter form below by 11:59 PM EST, October 27th. We will choose a winner the next day. Good luck! I slept until 7am. I'm anxious to get up and start my day. I'm going spend my day at the keyboard and be productive. This is what I've promised myself. I get up and make a cup of coffee and linger while I watch a bit of the morning news. I look at my phone and check my emails. I had better take Rocket for a walk. If I wait much longer, it will be too hot to walk him. The morning news distracts me and I stand, frozen, staring at the TV. I snap out of it and turn the TV off. Rocket and I are hot and sweaty by the time we get back to the house. By now it's after 9am. I'm hungry. I haven't eaten yet so I go to the kitchen. I have some toast and finish another cup of coffee. I need to start a load of laundry. I go to the bedroom to get the laundry basket. Finally, I sit down at the keyboard. Coffee? No too late and too warm for coffee. I need something cold to drink. I'm back up and head for the kitchen. Iced tea in hand, I look at the clock above my desk. It's 10:30am! Where has the morning gone? I sit down at the desk and fire up my laptop. So for the next, God-knows-how-long, I check my email, look at my Twitter feed, look at WordPress. "Oops, I need to get that load of laundry into the dryer. Hmmmm, I should probably strip the bed today and change the sheets. ...sigh. Yes, I really should." I finally open up Scrivener. I look up at the clock and it's 11:30am! "Maybe I should think about lunch before I really get down to work here." Where did the morning go?! I haven't typed a word yet and the entire morning is gone! I sit down at my desk, with a bowl of soup next to me. Finally, I start to pluck away at the keyboard. Its past noon. After a couple of hours or so of work, I look down at my meager word count and frown. “I need to fold that load of laundry and I still need to put fresh sheets on the bed. I haven't posted anything in a couple of days; maybe I should work on a post for my blog." On Monday, my friends will ask what I did over the weekend. "Oh, I spent my weekend at the keyboard." Maybe I need to rethink the investment of the Time Share on that deserted island. I would have fewer distractions! I'm a freelance writer that writes in several genres. I've had a successful blog with a growing and loyal following for more than 5 years. I've written articles for Counseling Directory .org and Introvert, Dear .com. I'm currently working on my first novel. You can find more of my writings on my blog at: https://pennywilsonwrites.com/ and follow me on Twitter @pennywilson123. Our lives are filled with wonderful events, lively conversations, and meaningful relationships. But every day, we also encounter the mundane. In real life, there's routine. There's "hello" and there's "good-bye". There are conversations with strangers that don't mean anything to our lives. Sometimes, these mundane occurrences show up in our manuscripts. If you're writing a draft (especially a first draft) of a novel, short story, or memoir, you most likely have some mundane-ness in there. But in fiction (or your memoir), there's no room for mundane events, words, or conversations. If you include these, your pacing will be slow, and your reader may put the book down somewhere in the muddy middle. Think about a well-crafted novel you've read or even a movie or TV show, where you think the writing is fantastic. Everything that happens in that story has a purpose. The main character does not have a random encounter with a man in the grocery store while picking out fresh produce unless something about that scene is important to the character's overall story and growth. Dialogue: If you're anything like me, your dialogue is full of lines and words that don't move your story forward. Even if you're a natural at writing dialogue, yours might still be full of greetings, everyday questions like: how are you, "inside jokes" between characters that are clever but don't move the story forward, or a conversation your characters have had more than once. Life routine, especially getting ready and going to bed: When writing, we often take a while to get to the story we need to tell, and that's okay. I believe that it's better to delete 25 percent of what you wrote the day before than to have nothing on the page to delete. But we often start stories and chapters in the wrong place, and this is where everyday, boring life can slip in. We don't need to hear about a character's daily routine of waking up and getting ready for work. Readers understand that your character did not go to bed in chapter 2 and show up at the gala at the beginning of chapter 3, without nothing happening to her all day long. We don't need to read about her getting ready unless something happens that is purposeful, that adds to her overall story and character growth. If, for example, she is OCD, and it literally takes her twelve hours to get ready for the gala and readers need to see this to understand the character--then these events would NOT be mundane. When revising your draft, look at every scene you wrote carefully. You need details to set the scene. You need dialogue to reveal your characters. But, you also need to look objectively at what details and dialogue you chose and make sure they're not slowing down your novel. Sometimes, this is hard for us to see in our own writing. So, remember, a good critique group or content editor can help you with this task and get rid of the mundane. 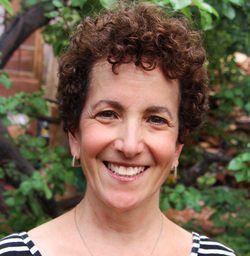 Margo L. Dill is a writer, editor, and teacher, living in St. Louis, MO. You can read more about her on her blog at http://www.margoldill.com. Consider taking her next WOW! novel writing course, which begins on November 3. More details here. If you would like to find out about Margo's personal writing coach or editing services, please see http://www.editor-911.com. Edit photo above on Flickr.com by Matt Hampel. Geeking out over our swag at the John Green book tour in Charlotte, N.C.
To be honest, while I’ve enjoyed reading John Green books like The Fault in Our Stars and Looking for Alaska, I didn’t consider the man behind the pages. I know he has a family he adores, he loves his younger brother, Hank (the two co-host a YouTube series and podcast and are also traveling many of these tour dates together), he’s a self-proclaimed nerd and proud of it, and is passionate about giving back to causes he believes in and fighting against social injustice. 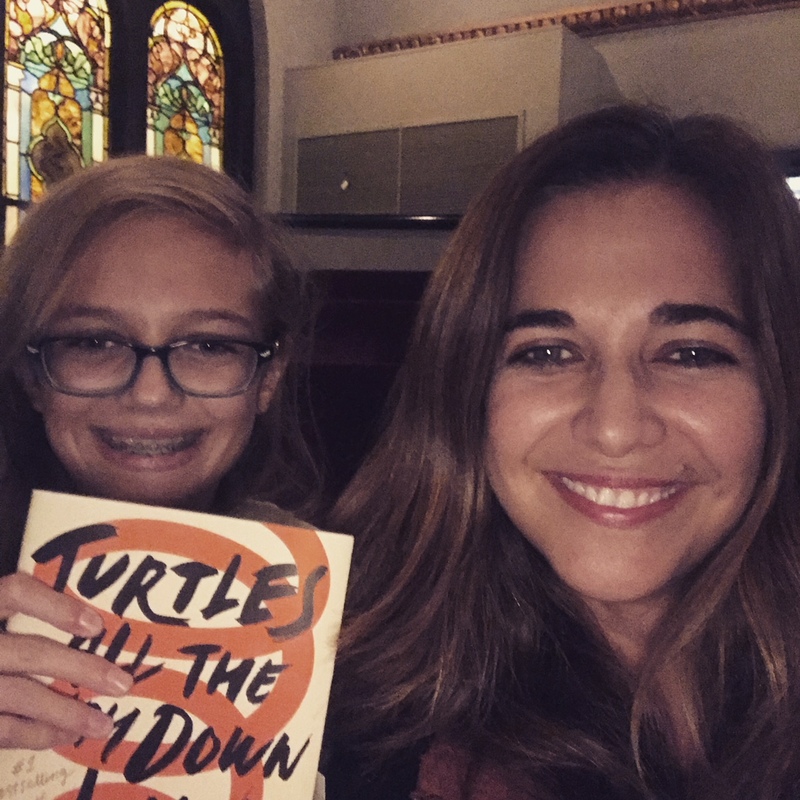 But until the release of his latest book, Turtles All the Way Down, I had no idea he has also fought a lifelong battle with obsessive compulsive disorder. As Green greeted the packed auditorium where we attended the event, he shared with the audience about how he’s had these types of intrusive thoughts from childhood. He also prefaced it by saying that he had a wonderful childhood with a family who was nothing but loving and supportive, but he couldn’t escape those thoughts and the anxiety they caused no matter how hard he tried. As I listened to him speak, and then read a selection from the book in a shaking voice, I couldn’t help but fight back tears. This was a man, an author, who has loomed so larger than life my mind, who always seems so confident in his videos online, sharing his deepest vulnerability with the audience. I could hear my daughter, who also has been known to have some of these types of thoughts, as well as sensory challenges, sniffle beside me. This is a child who has told me there are times she “just can’t get her brain to turn off” when she’s trying to go to sleep and for a few years became obsessed with researching the differences between poison oak and poison ivy because she was terrified of getting it. Green also shared his worry that he would never be able to write another book again after the success of The Fault in Our Stars (I believe it has been almost six years since that book was published) so watching him stand in front of such a crowd (a crowd that I could tell made him more anxious than he wanted to admit) helped nudge the voice in my head that tells me I won’t be able to get past my own challenges and produce a great piece of work. It was a great night with a powerful message. Yes, many creative people are considered “crazy.” No, that’s not really an acceptable stigma. There should be no stigma. We’re all human, and if we need to take medication or go to therapy to keep us on a level playing field, so be it. It’s not something we should have to be ashamed of. And it will make for some damn good writing when the time comes. What story do you have that propels you to keep moving forward? 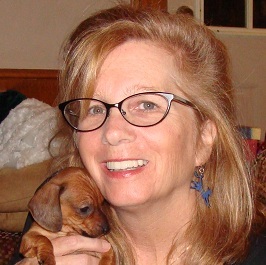 Renee Roberson is an award-winning writer and editor who also blogs at www.finishedpages.com.